I sure hope you have enjoyed this blog series and hopefully have been able to feel like you were apart of the weekend in a small way! 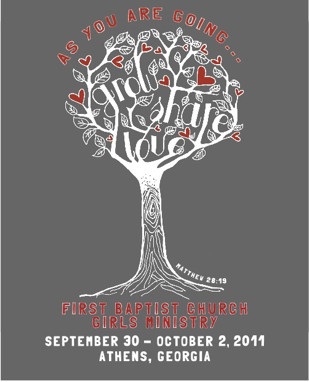 It really was such a sweet time with our girls and proved yet again what can happen when girls get together, worship together, learn together, serve together, and fellowship together. Simply put, it’s just a different vibe and a lot more freedom to just be themselves rather than with the distraction of boys. In the Part 1 and Part 2 of this series I’ve shared a lot about the growing that we did throughout the weekend through the messages that were brought by some pretty amazing women. 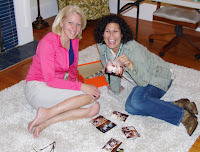 In this post I want to tell you about the serving, sharing and loving that we did. Also, I am excited to share a few testimonials from girls that went! Friday Night after our pizza party and message from Carla Sibley, the girls got right to work! 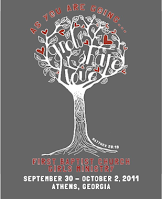 Saturday we were planning to hand out informational ink pens and business card size invitations for Athens patrons to join us for church on Sunday at Classic City Community Church, the church plant we had come to serve. The girls stuffed all the cards up in the pens on Friday night and sorted them in to 4 groups. We were planning to hand out over 1300 pens/invitations and we did just that! Saturday was great fun! The girls got to see the beauty of North Campus at UGA, the excitement of a football Saturday in Athens and be a light in what can be a spiritually dark day. 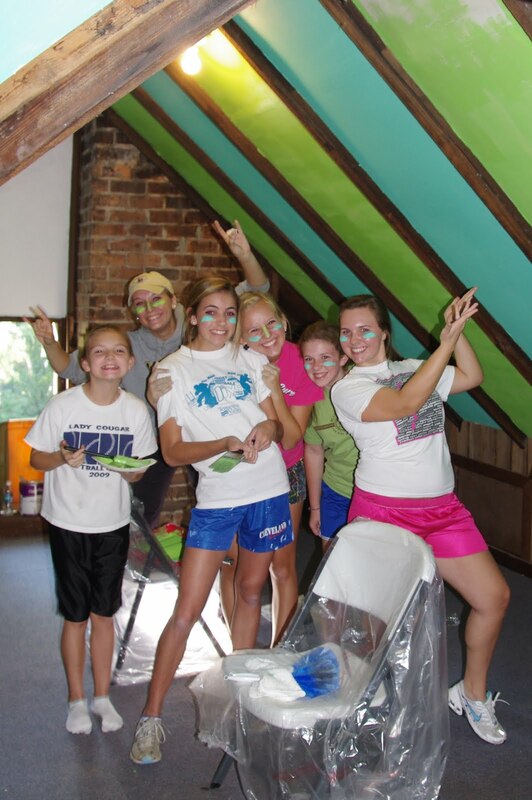 This was a game changing activity for most of our girls. While it seemed simple to hand out a pen and business card to pedestrians, it really took the girls out of their comfort zone. This turned out to be a great skill building activity for our girls on how to talk to people you don’t know. How to step out on faith and how to start a conversation with a stranger. A great first step to also sharing the Gospel. Once the game started (and a quick photo session at the UGA arch!) we headed back to the house, ate lunch, and prepped for an afternoon of yard work, cleaning, and painting. We really wanted to bless Classic City Community Church and their brand new facility. 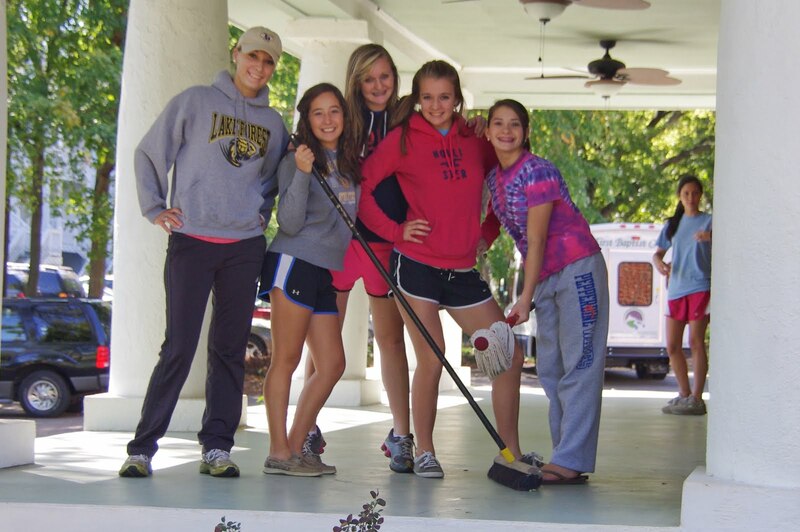 The girls planted flowers, cleaned the porches, dusted, and painted the youth area in the house attic! Such a great time working together for His glory! That night we definitely kicked back and enjoyed fellowship with one another. We ate well at Allen’s (a landmark restaurant in Athens) and ended the night with games, an ice cream party and some sweet share time from each of the girls. Open, honest, and at times tearful share times like this was made possible because, well, it was just the girls. Sunday we packed up and headed to Clark Central High School to help set up for church and then to worship as well. With 30 extra hands available we were able to reorganized their entire storage room, restock all the chair info pouches in the auditorium, and clean all of the kids and infant toys. 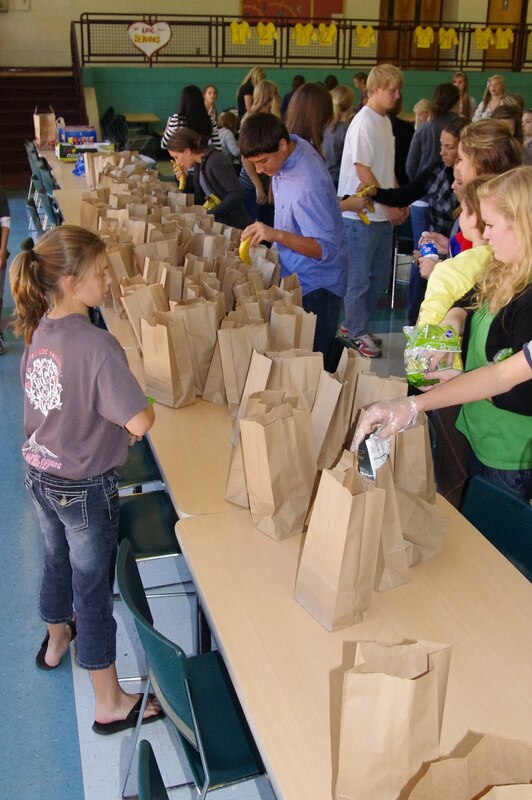 After an awesome service and message from Lee Mason, we headed for our last project: Athens PB & J Ministry. The Athen’s PB & J Ministry project was awesome! The girls made PB & J sandwiches and we packed lunches for 100 people (including ourselves) full of lots of goodies. After eating a quick bite ourselves we headed to downtown Athens and mingled with other volunteers and many folks that were homeless. The girls heard lots of stories that I know will impact them and their future ministry. There were two great takeaways from this project. One, it took our girls out of their comfort zone again. They had to initiate conversation and be intentional. sweetest thing was seeing our girls initiate prayer with some of the homeless. No one told them to do this, they just saw the need and did it!. Second, it was amazing to see college students leading and running a ministry on their own. College students often get a bad rap for being lazy or into partying, but here our girls got to see students for Christ that were living it out passionately. Something you might not have expected from a secular University, but something that definitely exists and amongst a lot of students! I’d love for you to add a comment too! Whether you went on the trip and want to add a testimony or you didn’t get to go but have learned something from this series, I would love to hear from you! 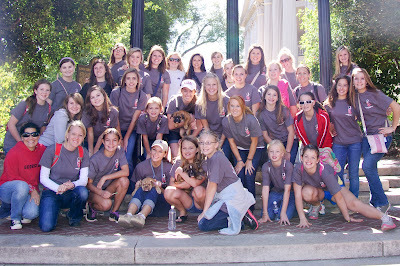 PS - Check out pictures from the entire weekend on our Girls Ministry Facebook Page!